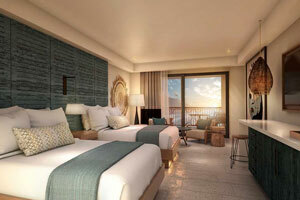 The Unique Rooms at the Lopesan Costa Bavaro Hotel have been designed for guests who want to relax whilst taking in panoramic views of the Caribbean Sea from their incredible terrace. 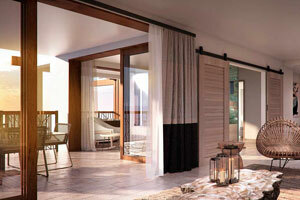 Complete your experience at our hotel in Punta Cana with our most exclusive service - ‘UNIQUE by Lopesan’. Our UNIQUE guests get to enjoy carefully designed facilities and services, ensuring their stay with us is truly unique and unforgettable. The very best rooms in our hotel, exclusive areas designed for ensuring an idyllic holiday and unique services to meet the needs of even our most demanding guests. 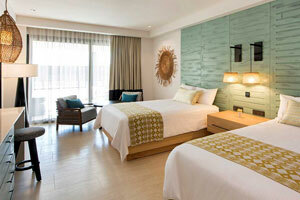 The Unique Junior Suites Tropical at the magnificent Lopesan Costa Bavaro Resort Spa & Casino have been designed to go above and beyond the expectations of even our most demanding and distinguished guests. A stay in one of the Lopesan Costa Bavaro Resort Spa & Casino Junior Suites Tropical means having a spacious, elegant and comfortable room, as well as breathtaking views and all the amenities you could possibly need. Designed with our most demanding guests in mind, who are looking for a truly unforgettable stay, the Unique Junior Suites Pool at the fantastic Lopesan Costa Bavaro Resort Spa & Casino offer maximum comfort and perfect harmony. The UNIQUE by Lopesan guests really do get to feel unique and special with access to exclusive reception and pool areas, as well as reserved restaurant areas, where they can try delicious gourmet dishes prepared by our chefs. 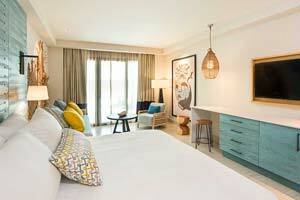 The Unique Junior Suites Ocean at the Lopesan Costa Bavaro Resort Spa & Casino Hotel is the room you always wanted to make your dream holiday come true. 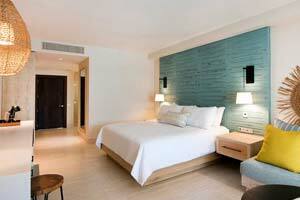 Tastefully decorated, the Unique Junior Suites Ocean at the Lopesan Costa Bavaro Hotel have incomparable Caribbean Sea views. The large 11.9 m2 terrace surrounds the room and provides brightness to the space. Dive into a wonderful, spacious and bright room in a sublime and exclusive destination such as Bavaro Beach in Punta Cana. The Unique Junior Suites Swim Up Rooms at the spectacular Lopesan Costa Bavaro Hotel will exceed the expectations of our most demanding guests thanks to an exclusive service worthy of a 5-star luxury hotel. Luxury and exclusiveness come together in our six incredible Unique One Bedroom Suites Ocean rooms at Lopesan Costa Bavaro Hotel. Each room has more than 90 m2 and they offer our distinguished guests exceptional views of the spectacular clear Caribbean Sea.